You can get an Android box pretty much anywhere these days. Android boxes are on sale at most online retailers and Big Big box stores. Even kiosks in malls are selling “Free TV Boxes”. When you get to work, that guy beside you will tell you all about how he “cut the cable cord”. Close behind that statement is how great it is to watch TV shows and movies for free. This has caused many to believe that Android media boxes should be illegal, or even that they are illegal. Many more people believe that it is everyone’s right to watch movies and television shows without having to pay for the ability to do so. For many people an Android box is just a mysterious device that works magic when connected to the Internet. For most not a lot of thought is given to what these boxes do. Why should you buy one? Are they even legal? What is “Kodi” and is it the same thing as an Android device? To add a little clarity, an Android Media Device or Android Box is a small, inexpensive computer. Many of you may be aware of Android as the operating system on mobile phones and tablets. An Android Box is really just a tablet computer that connects to a television instead of having a built-in screen. These boxes connect to online software libraries and can run most of the same applications that an Android phone or tablet would. With a device such as this connected to a television it’s a small leap to want to use it to watch movies and television shows. An Android box will permit you to watch YouTube, Netflix, and many other online video sources directly on any television. What if you’d like to purchase digital copies of media, or make digital copies of media that you own and watch them without having to put a disk into a player? 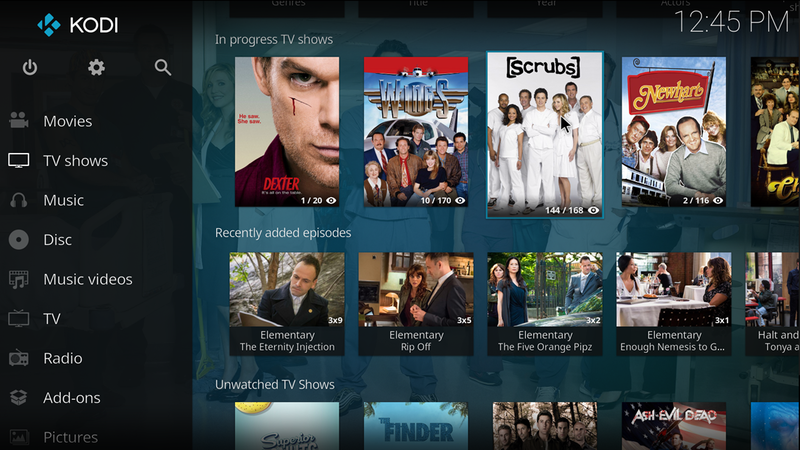 The application known as Kodi is one that provides the ability to do just that. Watching digital media for many people has meant sitting at a computer or watching things on a small laptop or tablet screen. Wanting that playback moved to a large screen in front of a comfy chair is natural. Accessing media that is simply stored on a hard drive isn’t for everyone. It can be difficult to manage and even more difficult to access. 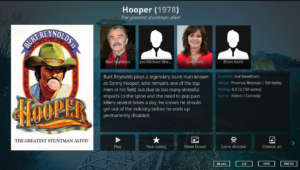 Kodi will allow you to create your own personal library of movies and TV shows that are stored on a computer, USB hard drive, or network storage device. 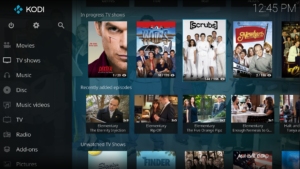 Permitting Kodi to scan your hard drive will allow it to download the plot description, cast member bio’s, even film ratings for all of your favourite shows. All of that can now be viewed easily from the comfort of the living room sofa and navigated via a remote. Watching your own media is now as simple as watching Netflix. Now this all seems pretty straightforward and harmless, right? Where the problem arises is in Internet media streaming. 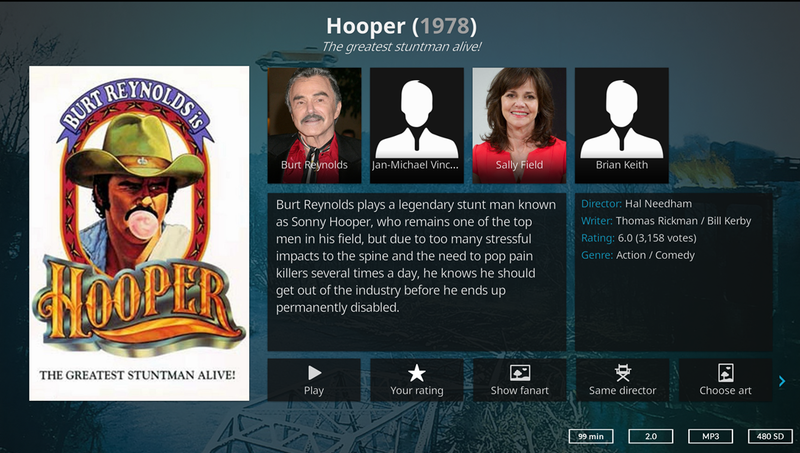 Kodi is an application that provides video streaming functionality. Video can be streamed from any hard drive or computer in your home directly to your television. Because of that streaming functionality, small pieces of software have been written that “plugin” to Kodi to permit streaming from other sources on the Internet. There are those who make copies of media illegally and share them with others. In some cases those pirated copies are purchased or sold, in other cases they are shared freely. Placing those copies online allows Kodi plugins to access them. By installing these plugins, suddenly you’re watching movies that you didn’t pay for. This is why the news is filled these days with talk of Android boxes and piracy. At the request of major cable TV providers the Canadian government has even stepped in in an attempt to stop these boxes from being sold. Neither an off-the-shelf Android box nor the Kodi software that runs on it have anything to do with piracy. How someone chooses to modify and use that device is another issue. Typically an Android box comes with pre-installed clients for connecting to Netflix, YouTube, Hulu or other media services and can be used for many legal purposes. 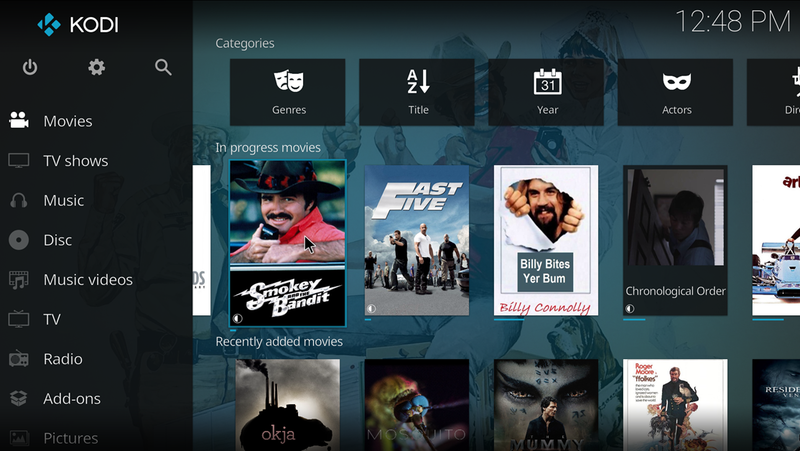 Kodi is often pre-installed as well as it is intended as a local media library. The issue with sale of these boxes is with the sellers themselves. 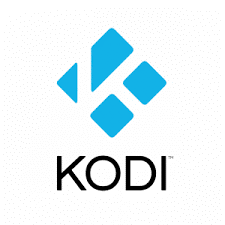 Many Android box re-sellers will offer an additional service configuring Kodi with the plugins required to stream media illegally via the Internet. Somehow they believe that we are entitled to free media access and that they should be able to profit from supplying services to enable viewing media without paying for it. Anytime an Android box is sold as a “Free TV Device” or comes with “Free Lifetime Updates” there is the potential for a problem. These re-sellers are making it simple to view media illegally via the Internet. Uninformed purchasers are often unaware that they are doing anything that could be considered wrong. As with any purchase it pays to do some research and understand what you are purchasing, how it will be used, and where best to obtain it. Typically the purchase and viewing of copyrighted material without purchase is something that is done quietly to avoid attention. With Android Box sellers loudly proclaiming what these devices can do the number of people who can easily violate copyright law has increased. Bringing questionable activity like this so loudly into the mainstream is bound to have consequences. Any consumer looking to purchase equipment like this needs to be aware of what they’re buying and what they may be buying into. 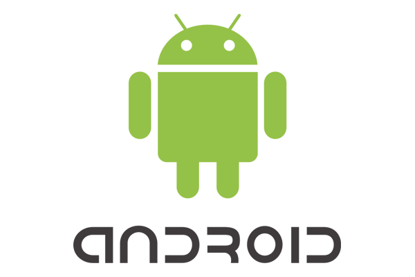 Purchasing an Android Device is not illegal or questionable in any way. If you make certain that you are buying a sealed device that has not been modified you can receive hours of enjoyment without breaking any rules. Everyone has an opinion on copyright law. Regardless of those opinions, there are currently laws surrounding copyright violation and they can’t be ignored. There are those who will argue that the person guilty of piracy is the one who copied the movie and makes it available for viewing and not the one who views it. The purpose of this article isn’t to debate the legality of this issue, it’s simply to make people aware of what they are purchasing in order to make better decisions.